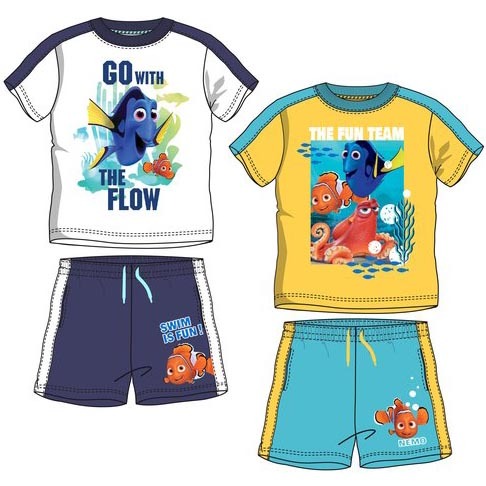 Your little adventurer will look adorable in this Disney Finding Nemo shorts and t-shirt set. Sizes 3 – 6 years. 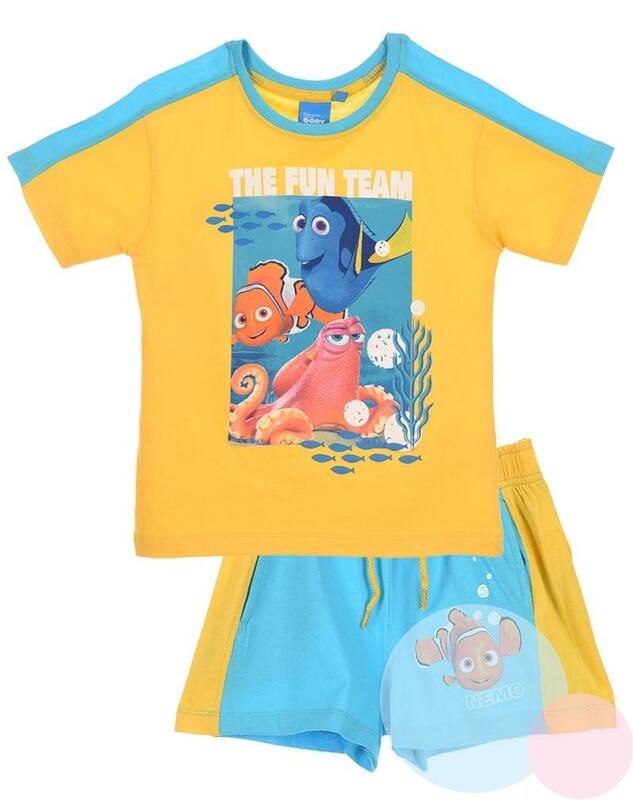 Your little adventurer will look adorable wearing this Disney Finding Nemo shorts & T-shirt set. This 2 piece set is designed with style incorporating the Disney favourite. Made from a soft cotton-blend fabric, this outfit is comfy & stylish. Made to last through many adventures at the beach, park or backyard. Available in Yellow or Blue.